On my quest to Track Down Seinfeld’s Estelle Harris, who played Mrs. Castanza, I felt that I had to definitely track down the person who cast her – Larry David - creator of Seinfeld. I tried calling Mr. David’s office numerous times. But nobody called me back. What is a TV fan and writer to do? I know – why don’t I go directly to Larry David’s office and wait for him. Did I hear a few of you say, ‘stalking’? I’m a professional. This isn’t stalking. It’s simply waiting. So I waited, and waited and waited until Mr. David drove up in his Prius! Note: waited, not stalked! 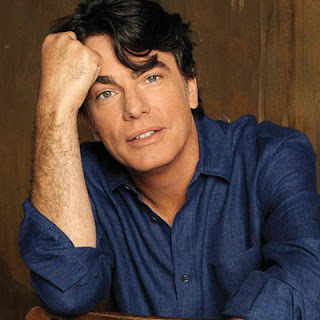 Larry replied – “Have you been sitting here waiting for me?” I admit to the crime of waiting. Larry seemed somewhat reluctant, but does give me his assistant’s contact information to set up the interview. 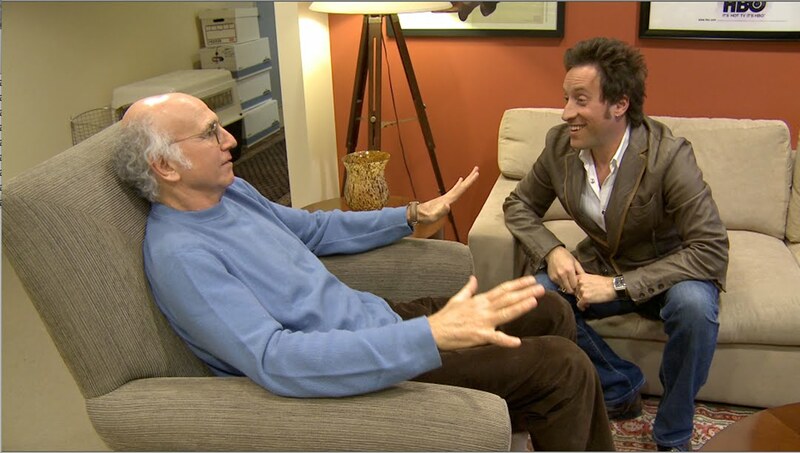 The big day arrives and I am going to interview Seinfeld creator and Curb Your Enthusiasm star, Larry David! However, Mr. David is not thrilled. Is Larry David similar to his character on Curb? No – not similar – EXACT. I had the chance of a lifetime to interview Mr. Larry David. Did I impress him? Well, suffice it to say I curbed his enthusiasm. I had an early morning shoot in Beverly Hills. My team decided rather than having our typical grab ‘n go breakfast from Starbucks, why don’t we drive into Beverly Hills and grab a bite there? Sounds like a 90210 plan! We parked and headed into Nate ‘n Al Delicatessen on North Beverly Drive. We sat down at a booth. And as you readers are aware, I ALWAYS sit facing the inside of the restaurant and the door - how else am I going to scan the restaurant for celebrities. While having my coffee, my bladder started almost immediately. Off to the restroom. While I am standing at the urinal I get a text from my team. 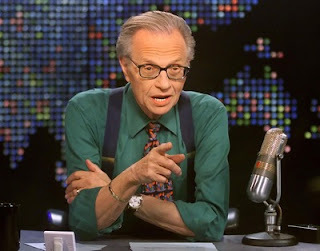 Holding my phone in one hand and my manhood in the other (yes, folks I can multi-task), I read my text: ‘Larry King is here!’. You can imagine my excitement ... and the splashing and dripping on the restroom floor that followed! I finished up and bolted out of that restroom - of course I washed my hands first. And then I saw him - Mr. late night CNN himself - Larry King! He was sitting at his ‘regular’ booth with his four cronies. How does one get a regular booth? How does one get cronies? I gotta say - I was thrilled to see this legendary host, but I was somewhat disappointed. He is much smaller in person. I mean much smaller. He also doesn’t sit up straight - I thought he always liked to lean on his desk. I realize now that the desk is there so that the King doesn’t fall over! And you know what else? No suspenders! Sorry, I don’t mean to complain. Afterall, I was eating breakfast a few booths away from Larry King. I wanted to see a celebrity and the Celebrity Law of Attraction made it happen for me. I should be grateful. I am grateful - suspenders or no suspenders. 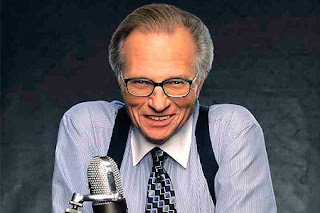 Larry King is the King of CNN and of Nate n’ Al’s. As for me? I prefer to be called Prince. Los Angeles is known for its traffic. So, you can only imagine what a ‘pleasant’ drive I was having on the bumper to bumper Hollywood Freeway. AARRGGHH!! Remember those drive-by traffic shootings? Hey – I’m not supporting it – I just really am beginning understand it! OK, back to the car – convertible actually - la de da de dah. So here I am, merging onto the Hollywood Freeway and nobody, I mean nobody wants to let ‘little ol’ me’ in. I’m such a nice guy and I was having a good hair day, I just couldn’t understand why nobody was letting me in. My merging lane was coming to an end – and you know what that means – the lane is slowly getting narrower – and my patience is slowly getting less and less. Is anybody going to let me in??!! Finally another dude (did I just say dude?) in a convertible motions to me. He is letting me in! I was reassured that I was a nice guy and having a good hair day. Even better, I check into my rearview mirror after I pull in to wave to this good highway Samaritan and wouldn’t you know it? It was Jake Gyllenhall! 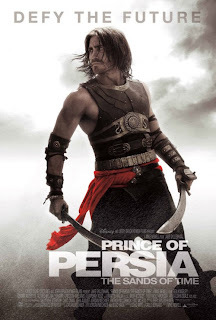 Yes the Prince of Persia himself! As I wave thank you, he gives a cool Brokeback Mountain nod of acknowledgement. 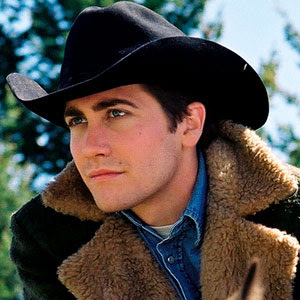 Is there such a thing as a Brokeback Mountain nod? At any rate, my point is this: just like Charlton Heston parted the Red Sea as Moses, Jake Gyllenhaal parted the sea of traffic for me! I needed someone to let me in and my Celebrity Law of Attraction worked like a charm. I truly believe that if I did not have huge faith in my Celebrity Law of Attraction – a huge star like Jake Gyllenhaal would not have let me in. With little of no faith, a much smaller celebrity, like Charo, would have let me in. Or possibly Rip Taylor. Or that guy from Survivor Season 2. ON A HIGH ... SCHOOL MUSICAL! OK, so once again, I am shopping at the mall. What is it with me and malls? Funny thing is that whenever I go to a mall, I don’t just think about what I am going to buy, I think about if I will bump into a celebrity. And of course, I always do. This time, I wonder if I was too old to get excited. 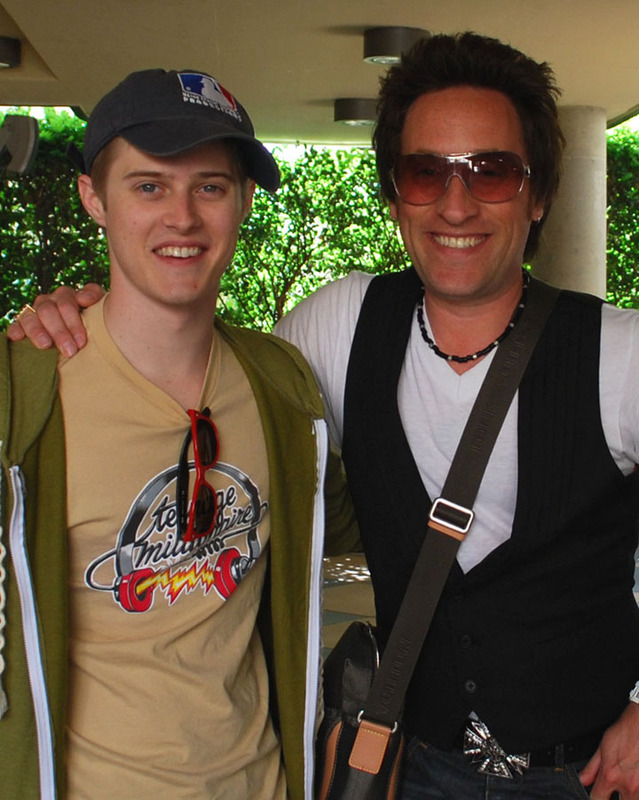 As I am window shopping, Lucas Grabeel (Ryan Evans from High School Musical), walks by me. I walk past him thinking, I CANNOT and WILL NOT go up to him. Afterall, I am a grown man and he is ... well ... he is one of the High School Musical kids. Like I totally always find celebrities, so like I had like no choice but to go up to him. Of course I told him that like my daugher totally LOVES him and thinks he’s like totally awesome (even though I was totally just as thrilled to meet him). 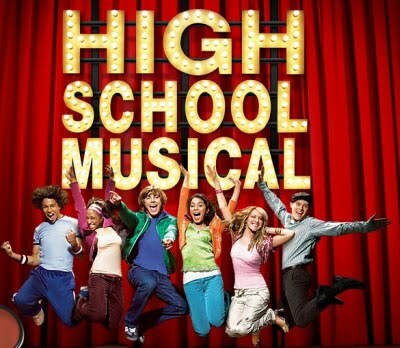 After all, it is High School Musical. Like, duh! I was even thinking of like totally jumping up, legs folded in, just like the poster. But hey - that was like totally overdoing it. I am like totally mature. Ok, Marshall, time to grown up! Lucas was very nice. He chatted and his sister took our photo. I was happy to meet him for my daughter. OK - for me! It was like a totally awesome experience! Totally!